We know and love the Ivy Creek Natural Area as a peaceful forest retreat with miles of primitive trails to explore. However, overgrown roadbeds and old fence lines, barely discernable as they run through the woods, are reminders that this was once a family farm. 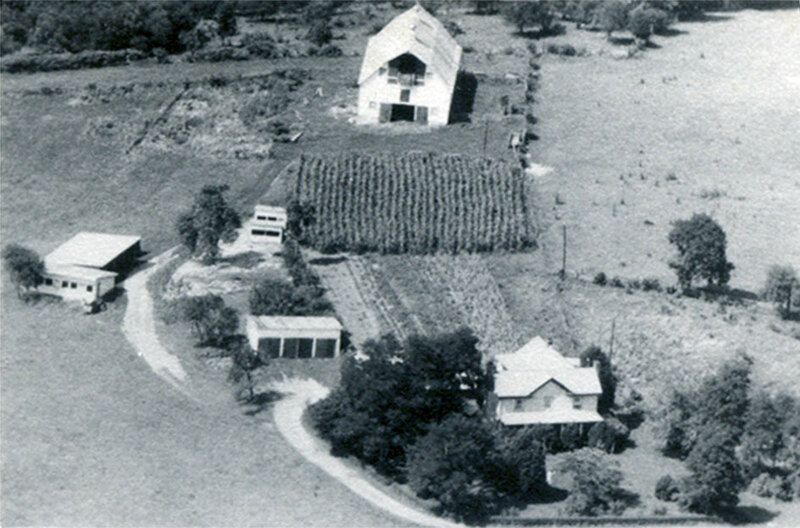 Farming activity at Riverview Farm, now the Ivy Creek Natural Area, began to decrease in the late 1940s following World War II. As years passed, less crops were raised and fewer cows pastured, while the forest steadily encroached on the fields and pastures. In some sections the formerly cleared fields have been completely transformed into woodlands, while in other areas the succession from field to forest is only beginning. Since plant succession tends to follow a somewhat predicable course, different plant communities indicate how long ago various sections of the natural area were last disturbed. This walk will help you to learn how to "read the history of the landscape" while walking at Ivy Creek.